Digital business initiatives have expanded in scope and complexity as companies have increased the rate of digital innovation to capture new market opportunities. As applications built using fine-grained microservices and functions become pervasive, many companies are seeing the need to go beyond traditional API management to execute new architectural patterns and use cases. 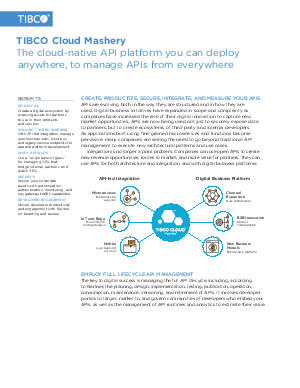 APIs are evolving both in the way they are structured and in how they are used, to not only securely expose data to partners, but to create ecosystems of internal and/or third-party developers.